The album leads with "Run Rabbit Run" brass-heavy soul/jazz fusion that sounds like they are really enjoying themselves. The opening reminds me too much of Cyndi Lauper's "She Bop" but it works as a hook for the gravely delivery of a dark narrative about a man and his pet. You can't dismiss the fun funk vibe that comes from "Save Me." There is a lot of James Brown to with track written by vocalist Archie Brown (no relation.) "Chance In A Million" is an emotional and pure piece. An interesting lyrical perspective that is hard to put your finger on with "A Fine Mess Rag" but an energetic rollercoaster ride. "Just A Word" is a great break from the Joe Cocker-esque vocal delivery early on the album although it harkens more toward Rod Stewart. It is a very beautiful use of horns and keyboards. You really start enjoying the instrumental layering and mix by the time "Falling" arrives. The album tracklisting (intentional or not) had "Divided In Two" and "Mad" switched. The former is a striking ballad and the latter is a frenzy of horns, organ, rhythm guitar in polka/country/blues. A strong jazz piano drives the meandering "Flying Lessons." "Nothing's Going To Stand In Our Way" may be the gem of the bunch with a strut that yields to lilting jazz and back in this duet between Pete and Archie. Also notable is the addition of bonus track of the haunting "Keaton's Walk" which was recorded before the group split up in 1982. 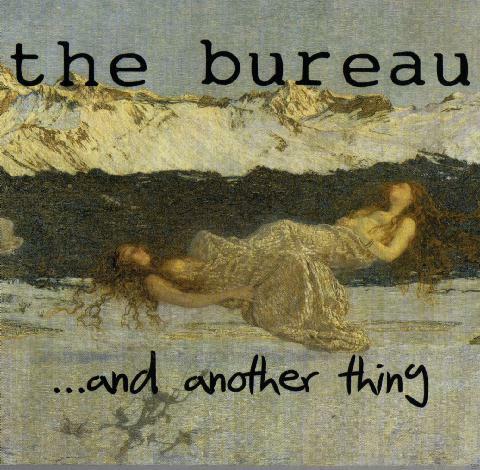 On ...and another thing, The Bureau have an amalgam of many different but alluring styles that they make their own. This is an enduring collection. The vocals on the early tracks take some getting used to but are acknowledged as character in the songs as much as Mick Talbot's keyboard delivery but both fuse together upon later impressions. This album is a joy to listen to and heralds the return of Northern Soul with a little more experience behind it.